FREE Clothes for Kids with your $15 thredUp credit! 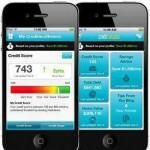 You are here: Home / freebies / FREE Clothes for Kids with your $15 thredUp credit! If you’re trying to buy back to school clothing for your kids and you’re on a budget, make sure you grab this FREE $15 thredUp credit! You can score FREE clothes for your kids! They’ve got shirts and jeans for back to school that are priced as low as $3.49, which means you could potentially score 4 items for FREE! They’ve got brands like Gap and Gymboree and some items are even new with tags! 2. Add the items that you want to purchase to your cart. 3. Enter the code BTS15 at check-out to get your $15 off! You do have to pay shipping and handling, but it’s just $3.98, so this is really a great deal! 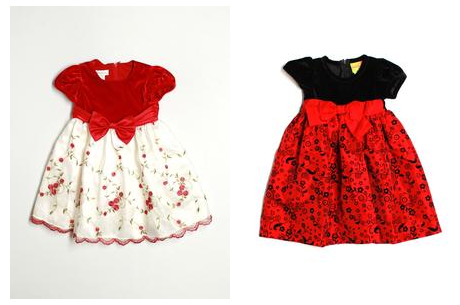 They’ve even got cute holiday dresses in stock and you could get them for free with your credit! This code is only valid through 8/9/13, so sign up and use it while you can! 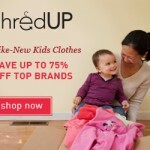 ThredUP: $15 in FREE Kids Clothing! 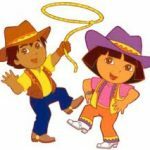 ThredUp $10 in FREE Kids Clothing! 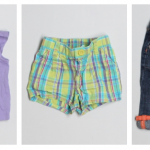 Kids Clothing Deals: $20 thredUP credit for $10!